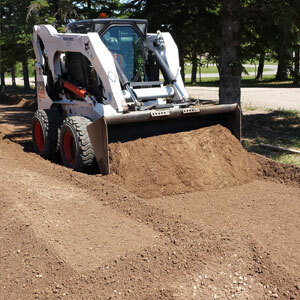 All Season Asphalt Services is a third generation company providing quality work and materials to Saskatchewan and Western Manitoba. We offer an extensive line of high quality mix designs complimented by our experienced installation crew. All of our employees have up to date safety training and are trained and certified to operate specific types of equipment. Our team at All Season Asphalt Services offers paving to residential and commercial clients throughout Saskatchewan and Manitoba. We can replace existing areas or design a custom asphalt solution. The condition of your driveway or parking lot sends a message to your customers or neighbors, so be sure to hire our professionals to have your home or business looking its best! 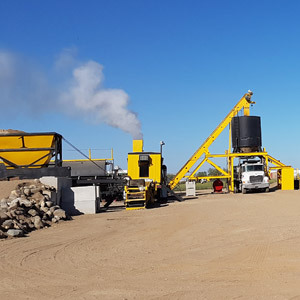 We have a hot mix asphalt plant located in Yorkton to provide high quality competitively priced asphalt. We sell a variety of designed asphalt mixes to suit whatever your project requires. We supply large and small quantities to independent contractors as well as municipalities and towns. Call or e-mail us today to inquire about pricing and availability. We will source and supply base materials best suited for your project. We will excavate, install and compact the materials to meet specifications. 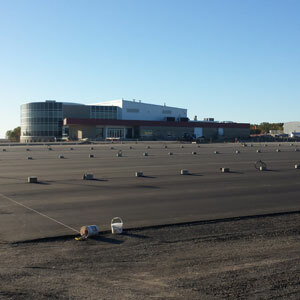 We’ve done base work for projects ranging from commercial parking lots and industrial complexes, to buildings and roadways. For more than 20 years, we have been providing commercial snow removal/hauling and ice control for businesses and institutions in Yorkton. Our staff is on call 24/7, ensuring that we are available to keep your parking lots clear of ice and snow. 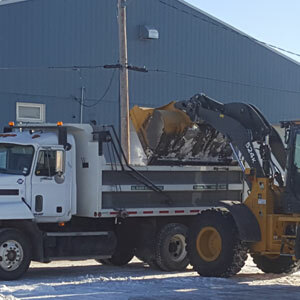 Our experienced crews with our fleet of loaders and tandem dump trucks can clean, pile, haul and de-ice your lots day or night, ensuring your customers will be able to access your business safely.